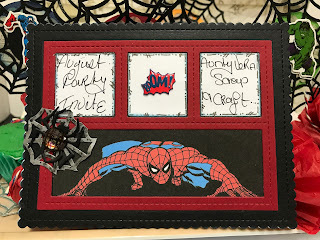 I was very surprised when I opened the August kit and found it to be a Super Heroes theme. Oh brilliant, this month we are having a Super Heroes party.. 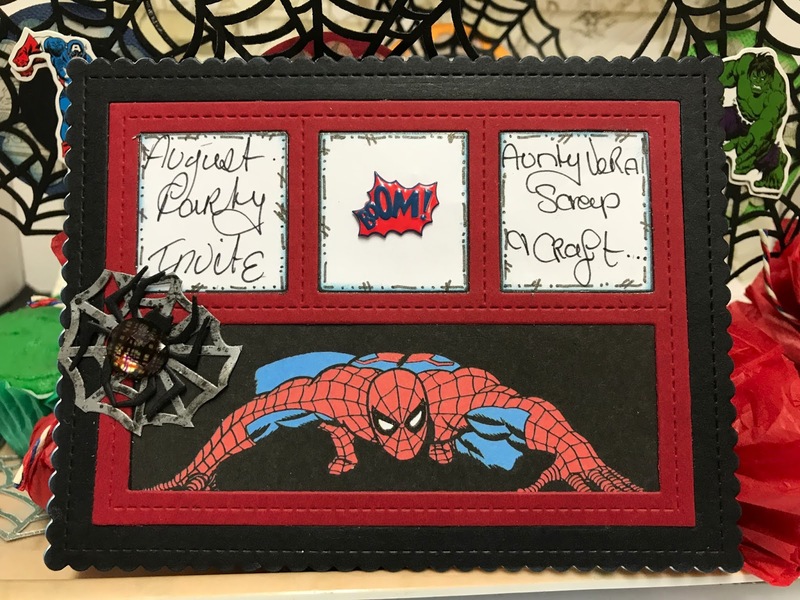 Created with black and red cardstock, items from the kit and Blueprint 27 die from my Favourite Things..
Postage is $9.00 to anywhere in Aus.